Cap Size - 7 1/4. 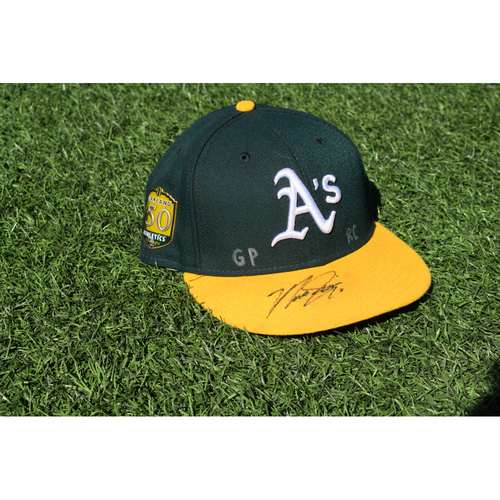 50th anniversary caps in honor of the mothers of Stephen Piscotty and Yuseiro Petit. Game used on May 7th, 2018. Net proceeds benefiting the ALS Therapy Development Institute and Yusmeiro Petit's Nonprofit organization of choice.